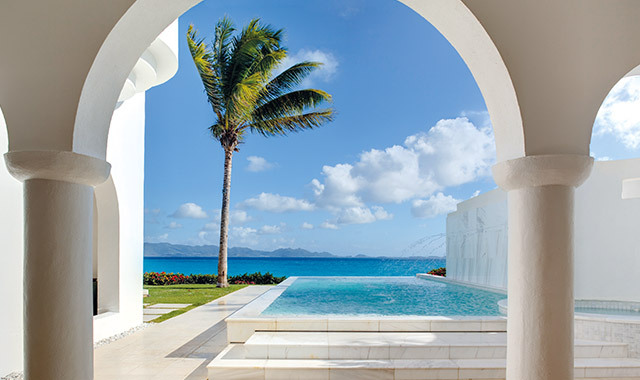 We are thrilled to announce that Belmond Cap Juluca, the most celebrated resort in Anguilla, will reopen its doors on 17 November 2018. Now part of the Belmond family, it has been fully reimagined and restored to its legendary status. You’ll find us on one of the most spectacular beaches in the Caribbean, positioned on a mile-long stretch within two secluded crescent-shaped coves. Book now and be one of the first to experience this island-chic hideaway. From bright rooms to five-bedroom villas, all of our newly appointed accommodation is beachfront. Step out on to platinum sands in the morning, and let the sound of the soft sea waves lull you to sleep each evening. A new era of beach-chic glamour and laid-back luxury allows you to take time to reconnect with what matters most. Relax and unwind with a book on the beach, or discover the waters with sailing, paddleboarding and scuba diving. Enjoy diverse gastronomy, championing locally sourced seafood, freshly prepared Caribbean and Anguillan cuisine and world-class, international flavours—with unspoiled views across the ocean.